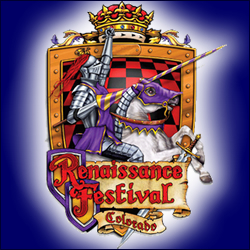 The Colorado Renaissance Festival is often voted Best Family Event annually in Colorado. Running weekends during the summer months of June and July, the festival is a great day trip to the Larkspur Colorado area. Entertainment abounds – with themed weekends, many artisans and food, and more – the whole family can have a great time. Tickets can be purchased online for a discount, and children under 5 are Free. Tags: Childrens Festivals Colorado, CO Renaissance, CO Renaissance Fest, Colo Renaissance Festival, Colorado Day Trips, Colorado Renaissance Festival, Family Festivals Colorado, Family Trips Colorado, Good Family Day Trips Colorado, July Kids Events Colorado, June Events for Kids Colorado, Kids Summer Events Colorado, The Colorado Renaissance Festival, The Renaissance Festival, Things to do in the Summer for Kids, Weekend Events for Kids Colorado, Where is the Colorado Renaissance Festival?